It’s that time of the year again where I look backwards to be able to go forwards. Let’s review what went down in 2017. Ho-hum… I did originally set these targets whilst not realising the true extent of my Achilles injury from the end of 2016, so some of them are quite laughable! The closest any of the above came to succeeding was, of course, the marathon goal. I opted to put all of my eggs into one basket, with the view that the other distances would receive undivided attention again afterwards. I’ve purposely softened the 5k and 10k goals, now firm in the knowledge that it will take a lot of work to get back to my 5k best and to run 30 seconds faster than my 10k best. The 10 mile and half marathon goals remain the same as 2017’s. I would like to put some serious graft into the 13.1 mile distance again, so I’m hoping I can hit the goal by the time the Spring is over. A softer goal is becoming a member of the 250 parkrun club, of which there are just over 2,100 members in the entire world! I should get there by the end of February. My Achilles injury basically wrote off January, February and most of March; even so, I was still able to almost draw even with 2015’s total of 1,612 for 1,594. By my estimations, I reckon I would have broken 2,000 miles if fit and healthy. Pleasingly, thanks to the marathon training, I broke 60 miles in a single week for the first time and also covered 210 miles in one month – both taking place in July. Once again, the top of this list could only be the mighty Yorkshire Marathon! Sure, I missed my sub-3 goal by just 35 seconds, but the experience from the race will remain with me forever as one of my proudest achievements and happiest memories. For the full write-up, please click here. 2017 was also the year I found joy in simply running for the fun of it. Any of you that have been benched by injury for a prolonged period of time will know what I’m talking about here when you first return to running! I came to acknowledge that solely chasing after times couldn’t go on forever and I’m now firmly in the territory where year-on-year improvement is no longer guaranteed. All I can do is keep training to the best of my available resources and ability, and hope that everything comes good on race days. This newfound serenity handily coincided with developing a taste for parkrun tourism for variety and visiting 9 new courses over the year; compare that with 13 over the course of 2011 through to 2016! I tried my hand at coaching in 2017, getting Dave Burton across the start and finish lines of his debut marathon. Taking responsibility for somebody else’s training is not to be taken lightly, so I was incredibly pleased when Dave pulled it off with minimal trauma and having looked like he enjoyed the experience. Thankfully, there are few I can think of! Nursing an injury was obviously something I could have done without, where it looks to have cost me in top-end speed but not endurance. Falling over on a run for the first time was embarrassing, but will also hopefully be the final time! Make 2018 a good one! We’re going to try something a little different here, so please forgive me if it doesn’t quite work out as intended! A little background to ease us all in. My good friend of probably 10 years now, Dave Burton, decided to take on the challenge of his debut marathon, having it coincide with his 50th year, and also the inaugural Birmingham International Marathon. I had hoped to introduce snippets of his training accounts to dovetail them in with my own progress over the summer, but for whatever reason, that didn’t happen. Instead, we have an interview to shed some light on his experience as an older runner looking to debut in the 26.2 mile distance. First things, first! How do you feel now that you’ve had a day or so for the dust to settle after the race? Without giving away too much, too soon, let me say this: the walk to New Street Station from the finish was the hardest mile of the day! So, why did you decide to run a marathon? Why now and not earlier? I reached 50 this year and had to accept that competing against younger guys and chasing PBs was no longer realistic. The marathon represented a new challenge. Being 50 also made achieving the London Marathon Good For Age standard a more realistic goal. Additionally, Birmingham had not hosted a marathon since 1985, so it felt great to be part of the first marathon the city had seen for quite a while. There’s something special about running your home events. You recognise more of the other runners participating, often including friends and colleagues. Rightly or wrongly, there is so much attention on the marathon distance, and I felt it was about time I had a go at it myself. I took up running in my early 20s as a way to combat the stress of actuarial exams. Youth, rather than talent, took me sub-38 for the 10k before a bad football injury stopped me from running. Roll on 20 years. You and I were in the same pub quiz team, discussing your aim of a sub-2 hour finish for the then approaching Great Birmingham Run half marathon. That reignited my interest. We ran it together in 1:45 and a friendly rivalry over the years that followed pushed us both to sub-1:30 half marathons, sub-19 5ks, and so on. 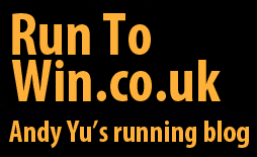 My Cardiff 10k ‘Millennium Best’ in 2014 ranks as my most satisfying race – it was the first sub-40 for over 20 years. You PB’d, too, and it was probably the last time I’ll ever beat you! Time to talk about training! Did you follow a plan? How did you set your goal time? I started out with reading Pfitzinger & Douglas’ Advanced Marathoning from cover to cover, documenting the key learnings to better understand why certain sessions are covered, and so on. You kindly produced a 22 week plan for me. In essence and spirit, it was a lite version of the one you adopted and modified for your own Yorkshire Marathon. This was a godsend as it enabled me to just focus on the running. It took the thought out of which sessions to do each time. For my age and gender group, a 3:20 or faster finish time is required for the London Marathon Good For Age standard. This felt reasonably conservative as my half marathon times suggested I should have been capable of 3:10 to 3:15. And how was the training? What did you feel gave you the biggest training boost? Any particular challenges? In truth, the training stretched me. Some of the sessions, particularly mid-week 10 to 14 mile ones, had me swearing with incredulity at the brutality! Marathon pace was also tough, initially. Having you oversee my training introduced some discipline. I was genuinely afraid of being told off for straying from the schedule! I even found myself apologising to you for having a crack at the occasional Strava segment! I enjoyed training over the summer. I guess you feel the cold more with age and the long, light evenings give you more flexibility around when and where to run. I began to particularly enjoy the relaxed Thursday evening 10 milers. That used to be my long Sunday run, and now it felt like a light jog in the park admiring the view. Unfortunately, minor injuries compromised the schedule and we made the right decision to drop the target to a sub-3:30 finish instead. Plantar fasciitis struck around late July and made an increasing number of runs quite painful. I found I had to run more on soft surfaces, such as grass, which limited where I could run. 17 to 22 mile runs around Rowheath Playing Fields was very tough, mentally! I had to alternate between clockwise and anti-clockwise laps to provide some variety. Having a high boredom threshold helps! You convinced me to eventually see a physiotherapist about my plantar fasciitis. I don’t even see GPs unless things are falling off! Most importantly, you nagged and encouraged exactly where it was needed. Leading up to the big day, how did race preparation go? You and I planned the build-up to, and the day itself, in meticulous detail. Nothing was left to chance! It was so important to not throw away all the hard work in the final week due to poor strategy and planning. Carbo-loading was new to me and I put on about 2kg in the days beforehand, largely due to an additional increase in water retention. We planned my pace of 7:45 to 7:50 per mile, anticipating a slight slow-down in the second half due to fatigue. Most importantly, we planned my nutrition strategy. Due to a lack of energy drink stations on the course, and only Gu brand gels being handed out, we devised a plan where you were to hand over pairs of my preferred Isogels at miles 9, 18 and 24. With my wave starting at 08:30, it meant getting a taxi at 07:00 and having breakfast at 05:45! I was lucky to arrive just before the queues for the loos started to really build up. I was paranoid about having possibly overdone the carbo-loading and didn’t want to share my debut marathon with the gingerbread man (Marathon Talk joke for those unfamiliar). The baggage drop entailed choosing a seat for your bag on your favourite number bus – I went for lucky number 7. I was all set but did wonder if I’d applied enough Vaseline when I bumped into Darryll Thomas, greasing himself down as if preparing for a Turkish wrestling bout. After a sluggish start trying to find some rhythm on the rolling downs of the A34, I settled into a comfortable 7:50 pace. I focussed on trying to be as fresh as possible for mile 20 and the distance simply flew by. It felt like I was running a completely different race from everybody else! I started more conservatively, and so was overtaking people at miles 4 and 5 who had overdone it on the undulations early on. By halfway, the race was settling down and I started to run with four other guys, including a Fenland-Lincolnshire runner, who I’d chatted with much earlier. It felt like we were just about to start running as a group, but that got trashed as we merged with the blue wave. I lost all sense of who was in the same race and had to weave in and out of runners for much of the next 9 miles. I managed to follow the Fenland runner as he scythed his way through the crowds, but his increased pace proved too much and I dropped back. Nonetheless, I felt great at 18 miles, which made it feel more like an 8 mile race. The inclines in miles 21 and 23 were tough and my quads started to cry for attention after the final incline. However, I managed to maintain pace reasonably well, and my final two mile splits were only slightly slower than average. I managed to catch and take the Fenland runner in the final mile! I finished in 3:26:02, so well within my sub-3:30 target! You know, that’s faster than either of my first two marathons! I’m lucky you made so many mistakes for me to learn from! Ha! You genuinely looked like you enjoyed it! It was a great day! There was a good vibe from it being the first marathon in Birmingham since 1985. Starting on the track at Alexander Stadium also gave it a real sense of occasion. Positively, the route got the boring sections with no spectators out of the way early on, paving the way for good local support in the residential areas. The support from you guys and other friends on the course was awesome. A big plus of doing your home marathon. You touched upon a few negatives earlier. Were there any others? I spoke of the merging of the waves not working. There were no isotonic drinks on the course and the supplied Gu energy gels were scarce. The gel station appeared 3 miles earlier than planned and there simply weren’t enough volunteers handing them out, which was very poor organisation given how critical they were. Somebody queried this on the official race Facebook page, but the organisers have not responded. Also, flat course, my arse! The first few miles went up and down the flyovers and underpasses. The inclines in Bournville and Selly Park were tough, too. At mile 5 in Digbeth, I may have slightly twisted my ankle on a pothole. I was incredibly lucky this wasn’t a showstopper! At mile 24, one of the safety pins holding my bib in place failed. I feared for my bib detaching completely and not registering a time! Any post-race thoughts you can share with us? Anything you would do differently? How is recovery going and what’s next? I felt I nailed it. I ran fairly conservatively, with it being a venture into the unknown of a first marathon, and I managed to maintain a pretty even pace all the way round that made for an enjoyable experience. I’d like to try a flatter course to see what I can achieve. I believe I have a sub-3:20 within me, but I’m not sure whether I can remain injury-free. Next time, I’d also look to train more with other runners. I enjoy running solo and getting lost in my thoughts, but that became very tough, mentally, later in the schedule when my body was creaking. I don’t have any immediate running plans. After the regimented routine of 22 weeks, I’m looking forward to just running for the fun of it. It would be great to try another marathon next year, and I’m tempted by trail runs now that I’m not scared of the longer distances. Being able to walk normally took about 2 to 3 days. The biggest challenge was being confronted by 5 flights of stairs on the Tuesday morning due to the office lifts being out of action. I’ve also felt my immune system waving a white flag in recent days. And finally, any words of wisdom for would-be marathoners? Yep, lots, but three things in particular. Firstly, treat the distance with respect, so read up as much as you can before starting training. Secondly, learn to run slowly! Building endurance requires lots of mileage and it’s counter-productive to push yourself hard trying to look good on Strava. Instead, aim to run the long runs 10 to 20% slower than marathon pace, and if it doesn’t feel too slow at first, then you’re probably doing it wrong. Finally, force yourself to have an easy week at least every 4th week to give your body time to recover. Congratulations, Dave, and welcome to the marathon club! Plenty of ups and downs during 2016! Let’s use Clint Eastwood’s 1966 movie, The Good, the Bad and the Ugly to filter through this year’s ponder over 2016. I purposely softened a few of 2016’s targets after some of 2015’s became too ambitious to chase. The good news is I achieved all of my goals, with some by quite a margin! These days for me, any 5k PB is welcomed with open arms. Finding those 15 seconds to get from 18:14 to sub-18 will not be easy, though breaking it down to just needing to shave 3 seconds per km makes it much easier to stomach. The 10k goal is around where I should have been at multiple points in 2016, but just didn’t come good. It taunts me and is more a case of luck rather than ability. My half marathon goal remains in line with 2014’s through to 2016’s estimations of 90 to 120 seconds improvement per year; hopefully more likely the latter due to only one half marathon PB in 2016. The big-Kahuna that is the sub-3 hour marathon goal doesn’t need much introduction or explanation now. By late spring, I should have a very firm idea of the sort of shape I’ll be in and what work will be necessary to get me there for the autumn. 2015 saw 1,612 miles covered. 2016 welcomed an increase to 1,737 miles. I basically ran an additional month’s worth of mileage in the same amount of time, no doubt helped by the marathon focus. The total would have likely broken 1,800 miles had I have not also moved house during April. This one’s easy and couldn’t be anything other than the Yorkshire Marathon. There are no guarantees in running; you simply do the work required and hope for the best on the day, whilst not doing anything too foolhardy in the race. I placed my heart and soul into the preparation and was met with an incredibly rewarding outcome. If I suddenly had to give up running or chasing the marathon, I think I could be satisfied with that performance despite my next goal of going under 3 hours. Notable mentions also go out to this year’s Brass Monkey Half Marathon and Walsall Arboretum Parkrun. The Brass Monkey Half Marathon defied my own expectations of what I could have produced that day, and like all good breakout performances, still remains out of reach almost a year later. Perhaps the 2017 edition of the race will finally jump start my half marathon development once more? Similarly, the 5k PB at Walsall Arboretum Parkrun came from nowhere. The morning was wet and miserable, the field was sparse, and I was fatigued from being elbow-deep in marathon training. I’ve not come close to that performance for months! Eugh. The Kenilworth Half Marathon really should have been cut and dry, but was marred by illness. But I at least finished the race! I didn’t dwell too much on the outcome, mainly because the race was just a stepping stone towards a greater goal. The Cardiff World Championships Half Marathon was also a let-down due to the weather gods unleashing a monstrous storm at around 9 miles during my race. Up until that point, I was in contention for a minor half marathon PB, which would have at least made the race’s £60 entry fee more palatable! This last spot can only go to the Telford 10k. A stinking cold and the resultant DNF that followed made for incredibly bitter pills to swallow, thusly continuing the trend of why my 10k PB is so far out of line with the rest of my performances. I’ve said enough on this topic recently, but felt I had to include it for posterity. What I would give for a boosted immune system right now! Whether you’re just starting out as a runner, or chasing after elusive goals, I hope 2017 comes good for you! “Another year over, and a new one just begun” as the lyrics go. Welcome to 2016! 2014 with a marathon saw 1,307 miles logged. 2015 without a marathon saw 1,605 miles – that’s the equivalent of running from London to Bucharest, Romania with distance to spare! 2015 also saw December as my densest month ever of running, clocking in at 201 miles. All in all, I’m incredibly pleased with the increase in mileage – it should yield some good results to come in longer events, such as the imminent Brass Monkey Half Marathon and the Cardiff World Half Marathon Championships in March. It’s with some logic that my weaker distances would yield the biggest improvements, which is exactly what happened. My half marathon PB came down by 2 minutes and 10 seconds in total for the year, and my 10k improved by 28 seconds. 10 miles produced the biggest surprise when it became my strongest PB of all time relative to other performances – the original prediction was to sneak under 65 minutes, so imagine my surprise when I finished closer to 64 minutes. It stands to reason that I could see the largest improvement in the marathon where it wouldn’t be ridiculous to look at taking minutes off in the double digits. One from way back at the beginning of 2015, is the Brass Monkey Half Marathon. Organised by runners (York Knavesmire Harriers) for runners, the race has an awful lot going for it. It’s comparatively cheap for a half marathon at £24 for unaffiliated entries; it’s also almost exclusively flat to offer great PB potential, giving me an almost 90 second PB. Lis and I made a proper weekend of it and we’re looking forward to the race again in a few weeks for what’s quickly becoming an annual pilgrimage. We’ve yet to see whether the recent flooding will have an impact on the race or not; it would be a shame if the race is cancelled because it brings tourism and additional revenue to the area through hotel stays, dining out and so on. Another oldie from very early on in January was my first place finish at Perry Hall Parkrun. I went there merely to clean up my performance and get it under 20 minutes. Little did I know that I’d be the fastest runner that morning, thanks to a local cross-country event that took place later that afternoon. Didn’t get the sub-20 minute run, mind, which must be one of the slowest first finishes on the Parkrun books! I ran a helluva lot of 10k races throughout the spring and summer, so much so that I even had to cancel one or two for fear of burn out. The one that stands out is the Magor Marsh 10k. It absolutely bucketed down with rain, but offered a stellar field by playing host to the British Masters Championship. Weather conditions aside, I executed the race by the book and produced a rewarding 22 second PB. As with the Brass Monkey Half Marathon above, it’s cheap, flat and organised by the local club, Chepstow Harriers. Finally, the recent Sneyd Christmas Pudding Run caught me off-guard by playing host to an ability defying PB that was almost a minute faster than estimated. The race really opened up my eyes to what I could potentially run in my next race in only a few short weeks. 10 miles – sub-65:00: Woohoo! Half marathon – sub-87:00: Woohoo! Looking at the above, I’m almost embarrassed that I put a sub-18:30 5k down as a target. I didn’t appreciate how hard it would be to break 18:51. Sub-39:00 for 10k is more realistic, and it’s with some confidence that it should come good in 2016, especially seeing as I won’t be running 10k races until late spring for additional development. 2015 – how will you run yours? Horribly clichéd these things are, I know, but they do serve a purpose to focus the mind for the next year. So, I’m looking to cover the highlights, the lowlights and the things that don’t quite fit anywhere else. 2013 saw 1,138 miles logged. 2014 saw a tasty increase to 1,307 miles. I would like to see 2015 in the 1,500s, so long as injury does not strike. 2014 also saw my largest single week of mileage, clocking in at 40 miles. I would like to hit 50 miles (should hit 45 miles this week through chance), but I doubt that will happen without either training for a marathon (not gonna happen…) or committing to double-days. 2013 was a bumper year consisting of 17x PBs. I was certain 2014 would be more miserly, such is the law of diminishing returns from training. In all, only 8x PBs materialised and gone are the days of simply turning up and having a bash. The most rewarding of the above? The Cardiff 10k PB, followed closely by the Cardiff Parkrun PB of 18:56; both for very different reasons. The Cardiff 10k was an unexpected result due mainly to the last minute course change. Due to the NATO conference, a major detour took runners to the north of the city on a route that was both a mix of aggressive hills and undulation. Neither Dave nor I fancied our chances of a sub-40 finish but we had a crack at it anyway. Vince Nazareth of Les Croupiers RC joined us and through a collective combination of efforts, all three of us defied the odds for three sub-40 finishes. The Cardiff Parkrun PB was almost the exact opposite where I felt primed and ready for the challenge of going under 19 minutes for a 5k. I recently read an article about a mental state called “flow”, which sums up the entire run perfectly. Flow can also be referred to as “being in the zone” where you’re simply that focused on a challenging task. I knew I had done the right training and all I had to do was deliver it that morning, and that I did. There was only one missing goal from 2014 and that was a sub-3:30 marathon. 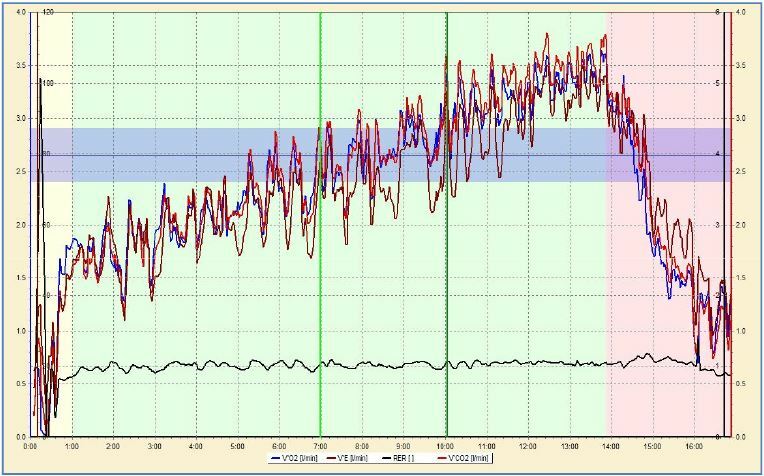 A lack of marathon pace work, threshold work and speed were revealed that April day in London. I’m not bitter or sore about it, though, and I know that one day I’ll get there and wonder what all the fuss was about. The race was memorable for another reason – Lis and I got engaged 400m from the finish line! I’m not a schmaltzy person but it was, and still ranks as the happiest day of my life. Anywho, we shall see. The 5k goal will almost certainly be the first to fall due to greater opportunities to attack it. A 5k spin-off goal is to revisit all of the Parkruns on my list to get them under 20 minutes. 2015 will also be the year I get myself down to Bushy Parkrun! It almost happened in the summer of 2014 but due to cost, I wrote the idea off for another time. Whatever you do in 2015, I hope your training goes well and you achieve all the goals you have set for yourself! Yep, I’m going to be running the Virgin London Marathon again in April 2014. Maybe luck runs in my family because the only other person I know to have gained two ballot places besides me is my cousin, Bruce (yes, his name is Bruce Li). Anyway, I’m chuffed to bits that some running god upstairs has seen fit to give me another opportunity to break sub-3:30 in the London Marathon. The 2013 race was a huge learning curve for me so next year’s outing will be a different affair. In training, I did plenty of long runs where my 5 longest attempts added up to 100 miles. What I neglected was running at race pace, which was and still is 8 minutes per mile for a 3:30 finish. This time, I will start my long run training much sooner to build in breathing room for a potentially bad winter and also to space out my long runs, so that I can periodically run a shorter distance at race pace. I also neglected speedwork, where my fastest run of the week was Parkrun. There is a very clear correlation between my Parkrun PBs plateauing between January and April and me taking on the long run training. I will include one session a week of something like fartlek or hill reps to complement Parkrun and to help maintain my speed; I was shocked by how much leg turnover I had lost after the marathon and how much work it took to get it back, taking maybe 6 weeks of focused effort. My estimation of my ability was far too conservative when I originally applied for the 2013 race. Registering with a time of 4:10 and it being my first marathon, the organisers saw fit to dump me into pen 8 out of 9. This time, I’ve put forward a finish of 3:20 and also had no need to tick the first marathon box on application. That should already bump me up to pen 5 or 6 by my guess to allow for a much better first half. I used up too much energy dodging, weaving and surging earlier this year due to slower runners getting in my way which left me fatigued and whacked for the second half. Suz West and my old university buddy Kevin are both big advocates of 20 mile races during marathon training. It presents you with the perfect opportunity to test and trial your marathon strategy, but without the full distance to leave you completely wiped-out. Dom and I are looking at the Reading Bramley 20 in mid-February for this attempt, which coincides perfectly for his Rome Marathon. Dave and I also plan to get the Silverstone Half Marathon in during early March. Finally, I am so having my name displayed on my running vest. It sounded so cheesy when I’d read about people doing it but from mile 20 onwards out on the course, I wish I had people shouting my name and telling me how well I was doing. Whilst in Manchester yesterday, Lis and I found some pre-cut letters from Afflecks Palace which look a bit neater than our original felt idea. I will need to call on the help of Team Beetroot to help me through this. The countdown to marathon race day begins. 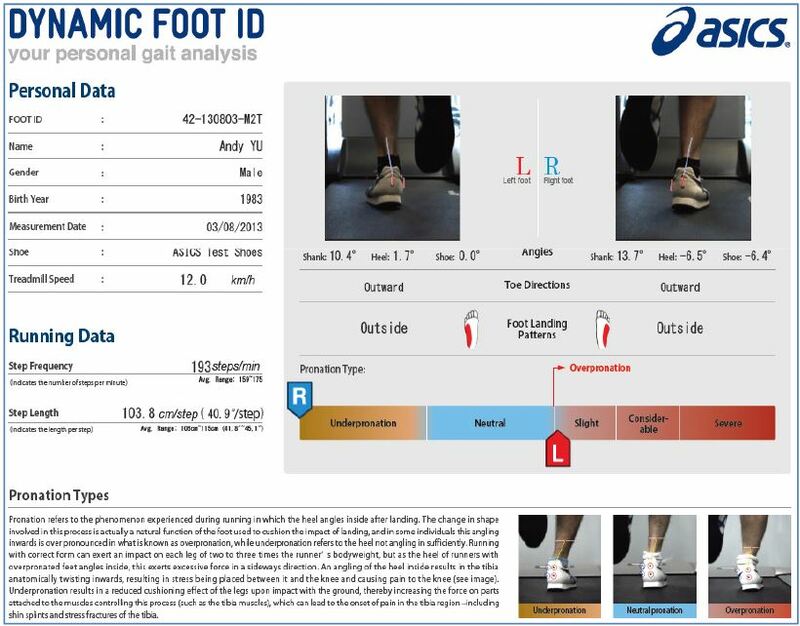 This past Saturday, I finally had my chance for an assessment at the Asics Running Lab. Based in their flagship London store, the Asics Running Lab is a meeting of running and science. They promise to prod and poke you to get the data they need to analyse and make recommendations on how to improve as a runner. Of course, any non-elite runner can always do things differently to improve their running but doing it this way allows for a more targeted and specific approach. I managed to bag a temporary deal for the assessment a number of weeks ago where it was reduced to £140 from the usual £200. Andrew, my assessor for the day mentioned that they run it as a loss leader and branding tool within the crowded London running scene. After an initial welcome and briefing of the activities for the next 2.5 hours, I got changed into my running gear and Andrew got to work checking my joint and leg flexibility and alignment. My left leg leans slightly inwards, which could cause instability and may directly be linked to reduced power in my left leg. 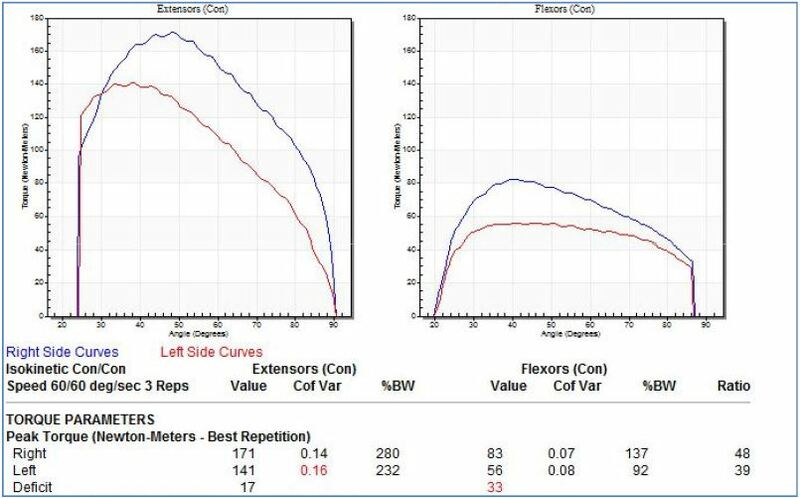 Overall hip joint flexibility is above average, but my hamstring flexibility is low. My ankle flexibility is also low, though is apparently common with forefoot and mid-foot strike runners. These results didn’t surprise Andrew or me; I had told him that I do enough stretching before and after to get away with it, explaining that I’m strapped for time as it is and feel I need to devote most time to the actual running. We next moved on to a 3D scan of my foot. The scanner was pretty cool, placing my feet into a box where the floor panel was like that of a photocopier, producing a 3D model of my feet, which revealed in minute measurements that both my feet are far from identical. My left foot width is a D and my right foot is a 3E. My left foot is longer than my right foot by 4mm also; not enough to warrant different shoe sizes for each foot but it complicates things having to size for length with my left foot and width with my right. My left arch is also significantly higher than the arch in my right foot, though both arches are classed as low overall. 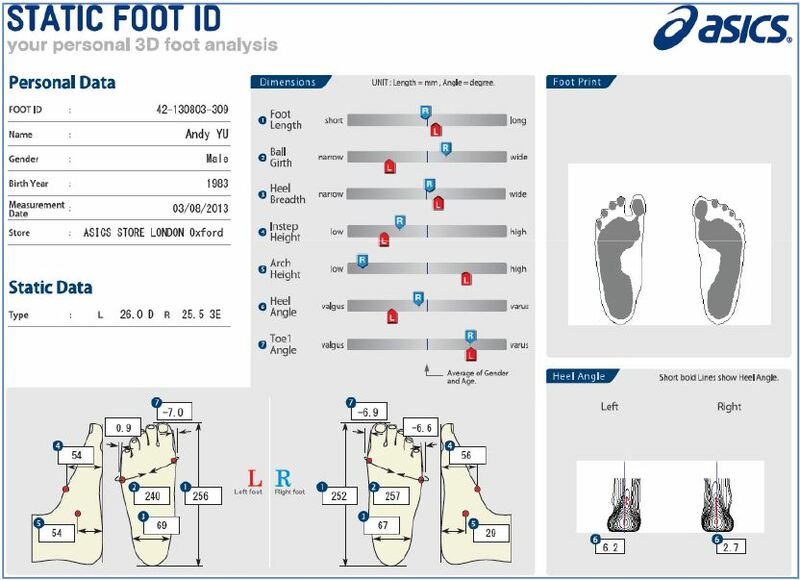 We also did a dynamic foot test to see how my feet behave whilst in motion. No real surprises here other than my left foot being more neutral than my right foot when they land on the ground. This means that my right foot rolls outwards more so than my left foot, which would explain why the outer edge of my right running shoes wear away more quickly. What is pleasing is my running cadence is way above the average. 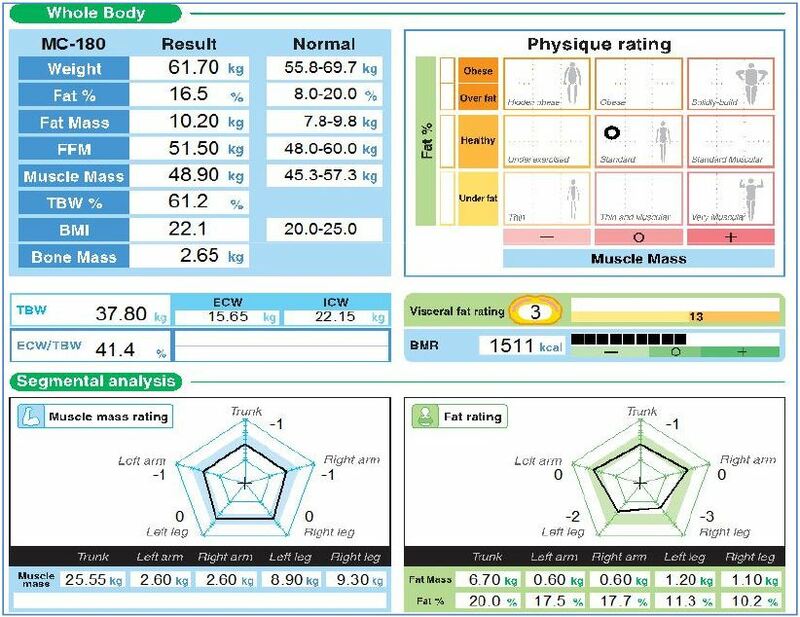 The feedback is almost as I expected, though the fat percentage could have been/should have been lower. Andrew did comment that whatever I’ve eaten in the last 12 – 24 hours will possibly have an impact on the fat measurement because the scanner isn’t capable of differentiating between fat around internal organs and fat that’s physically inside the organs, i.e. the pizza and chips I had for dinner the night before. Oops… I’m pleased to see that my upper body is identical on both sides; a positive effect from having to stabilise dumb bells instead of relying on a machine in the gym. The muscle mass of my arms and trunk is about what I thought it should be; I have scrawny lower arms that have skewed the results and I don’t do an awful lot of core work apart from variations of sit-ups and stomach crunches. Overall, I’m neither pleased nor displeased with my body composition results. I know I can reach race weight for half marathons and marathons once the long run training kicks in and right now, my body is composed for faster events like 5k and 10k. Leg strength assessment was the next test and I knew this would be a shocker. I don’t do any leg strength work, which is made harder by not having access to a gym. I should do plyometrics with weights but the argument of lack of time rears its ugly head again. Andrew strapped me into what looked like a medieval torture device that had mated with some space age harness from NASA. Each leg was measured independently, requiring that I exert as much force as possible with an equal force directed back towards me. The results were dreadful, both showing I have seriously below average leg strength; on a scale of 1 to 5, everything was 1 except the right knee extension test which ranked me as a 3. My right leg is also noticeably more powerful than my left leg, which isn’t surprising considering it’s my dominant leg with its higher muscle mass percentage. Having more powerful legs will mean I can plant more power down with each step, which in turn equates to a slightly longer stride. We went on to look at my running form and also measure my anaerobic threshold. It was my mistake that I thought we would be doing a full blown VO2max test, which would have required running me to near complete exhaustion. I currently do a lot right but there’s room for improvement. The question that now needs answering is how much do I change about my form and will too many changes have a detrimental effect on my immediate performance? To conduct the anaerobic portion of the test, they hooked me up to a gas meter that could measure the density of oxygen and carbon dioxide I was consuming and producing. The mask wasn’t too uncomfortable, but I did feel like Bane from Batman whilst wearing it. We started warming me up 8.5kmph, with a 0.5kmph speed increase every minute before peaking at 15kmph when we had enough data for the analysis. What was interesting based on the results is how closely the oxygen consumption and the carbon dioxide production rates are, also noting the low heart rates. We concluded that I have a bias towards speed at the moment, which is true looking at my 5k and 10k training, with my endurance runs taking somewhat of a back seat. We also concluded that I need more threshold training, especially to improve my half marathon; threshold speed is very close to half marathon pace and this is a speed that I rarely run at. The marathon prediction is a little slower than what I was expecting, believing that a 3 hour 30 finish or better is within my ability. What is disappointing to see is that their prediction for my half marathon is almost 5 minutes slower than my PB achieved at the Bath Half Marathon earlier this year. Before I went to the Asics Running Lab, I was looking for both confirmation of what I’m doing right with my running and also to shed some light on what I get wrong. Was the Asics Running Lab experience worth the money and the visit? I’d say yes, but only if you’re of the mindset of wanting to improve on your performances. I am forever looking at ways to become faster and stronger and these results have highlighted that I am always looking to train harder, but I now need to also think about training smarter. One other thing to remember is that the tests show a reflection of your potential on that very day; not based on previous glories or future aspirations. If you’re interested in an appointment at the Asics Running Lab, simply contact the store to make arrangements. The tests take approximately 2 – 2.5 hours to complete and you’re free to use their showering facilities to freshen up afterwards.